Our guide to Scottsdale will help you find the best wine spots in Scottsdale Arizona. The nickname 'Valley of the Sun,' is so appropriate -- the area gets more than 325 days of sun a year! And with gorgeous mountain vistas, an astounding choice of resorts, fabulous restaurants, and world-class golfing and spa options, it's no wonder Phoenix attracts vacationers from all over the country. There are tons of great wine spots in the city of Scottsdale, our city guide will help you find the best wine spots. You may have a hard time deciding what to do in Scottsdale, but we make your decision easy. 16427 N Scottsdale Rd, (480) 699-9230 - Uncorked Wine Bar is a wine bar located in Scottsdale AZ. 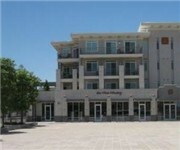 28190 N Alma School Pkwy, (480) 513-6252 - Rare Earth Coffee & Wine Bar is a wine bar located in Scottsdale AZ. 6952 E Main St, (480) 663-9797 - Grazie Pizzeria & Wine Bar is a wine bar located in Scottsdale AZ. 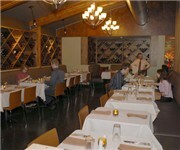 7000 E Shea Blvd, (480) 991-6887 - Tapino Kitchen & Wine Bar is a wine bar located in Scottsdale AZ. 7137 E Stetson Dr, (480) 946-3004 - The Valley's finest wine bar featuring over 3200 wines, signature cocktails, global small plates, and live entertainment. 10802 N Scottsdale Rd, (480) 922-9463 - Sportsman's Fine Wine & Spirit is a wine shop located in Scottsdale AZ. 26520 N Alma School Rd, (480) 473-5061 - Desert Wine Cellars is a wine shop located in Scottsdale AZ. 9383 E Bell Rd, (480) 657-2122 - Desert Wine Cellars is a wine shop located in Scottsdale AZ. There are plenty more wine spots in Scottsdale. See all wine spots in Scottsdale Arizona.